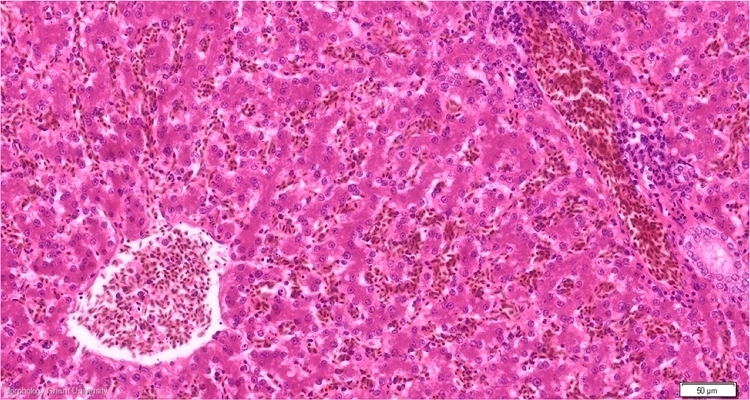 Microscopically, the liver unit in birds, as in mammals, consists of a central vein with cords of hepatocytes radially organized around it and mutually separated by sinusoids. The hepatic cords in birds are mostly two cells thick and are separated from each other by sinusoids. In between the two layers of hepatocytes in each cord run the bile canaliculi (canaliculi biliferes).